At the Machine step of the wizard, specify the machine that you want to restore and specify restore points to which you want to restore the machine. On the right of the Machine list, click Add. In the Backup Browser window, expand the required backup, select the machine and click Add. You can add several machines to the list to perform batch restore. 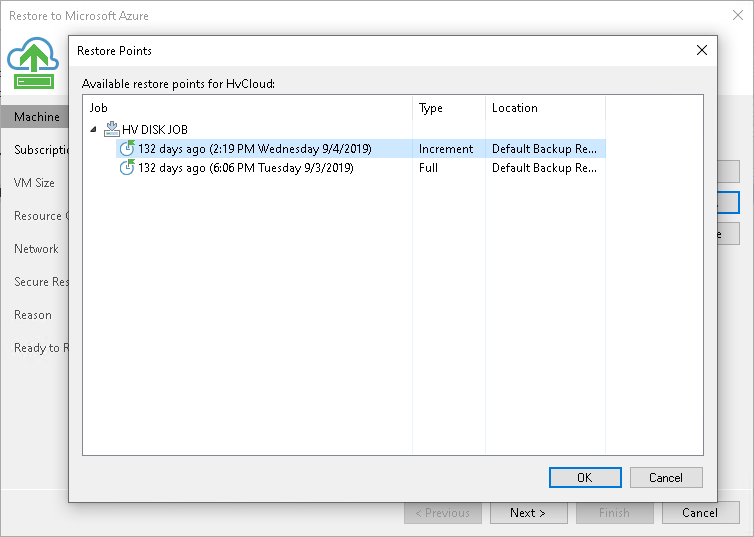 By default, Veeam Backup & Replication restores a machine to latest valid restore point in the backup chain. However, you can restore the machine to an earlier restore point. In the Machine list, select the machine. 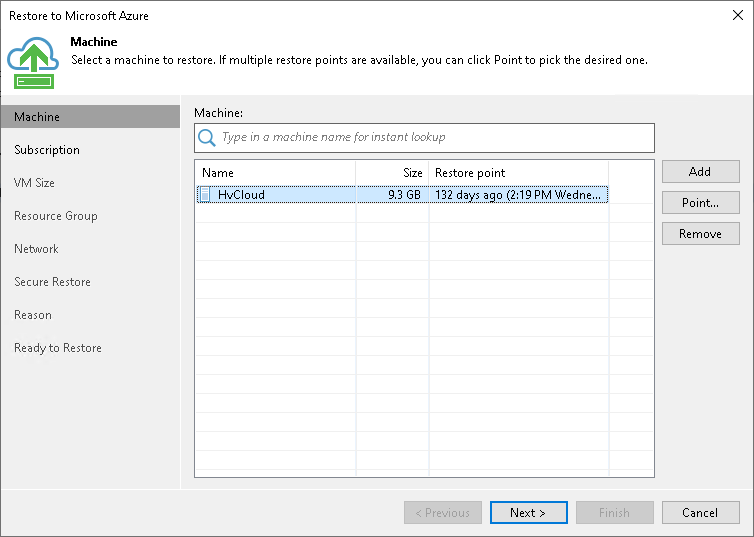 In the Restore Points window, select a restore point to which you want to restore the machine.